We all know how important it is to layer your indoor lighting with ambient, accent, and task fixtures, but when was the last time you thought about the layers in your outdoor lighting? While you don’t have a ceiling or walls in your backyard, it’s still important to have different layers of lighting, starting from the ground up. 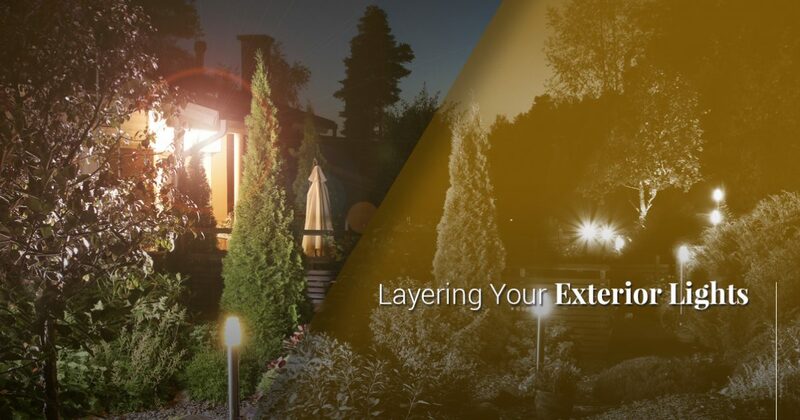 At Passion Lighting in Grapevine, we can help you find the perfect outdoor and landscape lighting for your home. 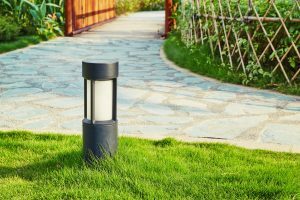 Starting with the ground-level lighting, you can choose path and garden lights that will help people find their way through your yard, and also highlight the ground cover and other low-growth landscaping on your property. You can also install step lights for those changes in elevation, such as a stone staircase that leads to your back door, or wooden steps that take you up to the deck. If you have a partially enclosed patio, or posts that surround your deck, then wall and post lights will be the best option for your mid-level lighting. These lights will be at eye level, or slightly above or below, so it’s good to diffuse their light so they don’t create too much glare. These lights can also be a strong decorative element in your yard, since they’ll be easy to see as someone approaches your property. While you don’t want your backyard gazebo or deck to be as bright as your kitchen or bathroom, overhead lights can still be a great option. As with indoor lights, overhead and ceiling-mount fixtures will provide the ambient illumination for your outdoor space. Putting these lights on dimmer controls will allow you to control the levels and set the proper mood for your summertime gatherings. Outdoor ceiling fans are also a great choice, especially on those hot Texas evenings. If you have a covered porch or pergola, then an exterior ceiling fan can be an ideal option. It will provide better airflow, as well as proper lighting where you need it. Your outdoor lights are also there to provide safety and security for your property, and with the right layers, you won’t have to worry about certain parts of the yard being too dark. You’ll be able to see what’s going on when you’re outside, and you’ll be able to rest easy when you’re inside, knowing that your property is adequately illuminated. Your home will be properly defined, so that people will know where your property begins and ends. If you’re looking for new outdoor lighting, then come to Passion today. We have an amazing selection to choose from, and our expert staff will gladly help you choose the appropriate fixtures. Our showroom is open Monday through Saturday, and you can get in touch with us by calling (866) 310-6555, or by filling out the form below. A member of our team will respond as soon as possible to set up a consultation with one of our lighting experts.